June 23, 2010 – New jewellery has arrived in store from Bop and Dani of Burlington, Ontario. 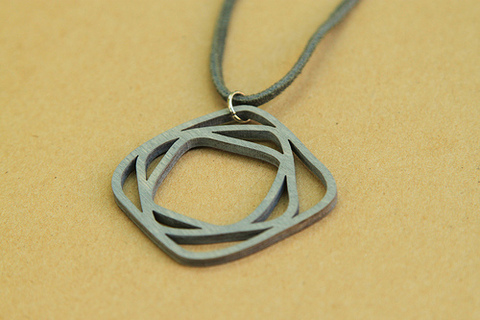 Bop and Dani is jewellery designer Pamela Weppler. Her background in fashion and sociology helps her to find inspiration all around her. 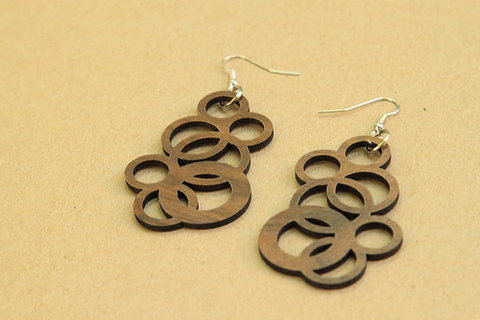 Her inspirations are then channeled into the pretty, modern designs laser cut in wood. 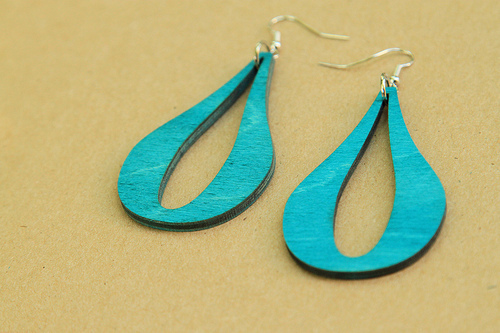 The pieces come in walnut or birch with an aqua, lilac or grey wash. If it wasn’t enough that work is lovely to wear, each piece is priced at under $30. Easy on the eyes and on your wallet.